She has slept away her first five days here, awakening only to fret, face swallowed up in full furrowed brows, swollen eyes and shrivelled spirit, grieving inconsolably over something lost, something she fears is lost anyways. She cries. Fifty-five years old, weathered, burnished skin adding ten years to her face, she was picked up for drugs or prostitution; I do not remember which. She once told me in between spurts of awakened anguish over her dogs. All I remember is the agonized tears and the dogs. I burn with desire to help, call someone, but I know I cannot. Impossible, even if I could locate her husband. She was arrested nearing her apartment, where her five dogs live and sometimes her estranged husband. She suffers thinking about the fate of her dogs. All she wants to do is contact her husband to make sure he looks after the dogs. She has no one else. Otherwise, they will die or get taken away. Each time she awakens, she bawls and repeats her anguish, fretting so hard and patterned like worried fingers on rosary beads. Exhausted, she falls back to sleep. Oddly enough, her Bunkie, not side-car, which is me, but her top bunk-mate, a young woman in her thirties, dirty blonde with faded magenta streaks, grown-into-the-crest-of-her-cheeks fake emerald studs that match her tiger-striped green eyes, cries too. She wails to anyone who will listen to her story. Everyone here has a story, and we are all storytellers. Our tales are what is left us here in this barren barred tank. Sam was living in her truck with her dog when she was picked up for receiving stolen goods. There were laptops in her truck along with her dog. Only the dog—her only companion for the last year—belonged to her. Her new boyfriend was arrested and taken to the men’s jail. She was just visiting here from Oregon when she was arrested, and she weeps about the fate of her dog. Another inmate warned her that the dog would be incinerated if left at the pound unclaimed for too long. Sam has no idea how long she will be incarcerated as her fate depends on this newly acquired boyfriend copping to owning the laptops. She grieves piteously for her truck mate, desperately pleading for the answer of how to get in touch with her parents to claim the dog. Just a phone call. That’s all these two needed, something I was fortunate enough to have each day of my almost thirty in county jail. Most all of the thirty-nine other tank-mates were unable to contact the outside world to figure out bail or find witnesses or loved ones. My other side-car cried to me daily about not knowing if her husband would bail her out, $500 to avoid the sixty days before trial. She could not make the phone call. No one could without a credit card in the hands of someone who knows her whereabouts and fifteen dollars a call, whether 5 or 45 minutes’ worth. Those who land in county jail are caught in a cycle of poverty, mostly. They end up in jail on the roots of poverty: poverty-driven money-making, usually repeating the cycles of their poor, drug-addled parents. Most of them. Very few saw visitors when I was there and few made telephone calls. They didn’t know anyone who could help. Many lived on the streets. None had been convicted of a crime, only waiting for trial, a deal or release. I estimate my family spent on average $45 to $100 (U.S.) a week on telephone calls, no more than fifteen minutes each for three to five days per week. I was the lucky one. Most simply could not afford the price of a phone call to buy them a moment’s peace among the systematized human degradation that is jail. This despite numerous studies that link frequent contact with family, often located across the state or in another state altogether, to reduced recidivism in prison populations. Hearing the voices of their children or parents and caretakers gives inmates hope, connection and salvation practically and psychologically. Paul Wright, ex-con and advocate for prisoners’ rights, founder of the Human Defense Center (HDC) and head of the Prison Legal News blog, leads the fight against telephone company monopolies and their pumped up profits for buy-outs, essentially profiteering on the backs of the incarcerated. The fight may be spun as the downtrodden—the incarcerated and their families—against the dealmakers: their captors’ palm greasers, the phone companies. The Federal Communications Commission (FCC) originally took up the matter of higher phone call rates for prisoners compared to the non-prison population in August, 2013, when it ruled to cap phone rates at $.21 a minute for pre-paid credit or debit cards and $.25 a minute for collect calls. After a ten-year battle by parents and grandparents of the incarcerated who paid exorbitant prices to maintain minimal contact with their loved ones (one grandmother paid $100 a month for twice a week fifteen minutes a call contact with her incarcerated grandson), the FCC ended the unrestricted rates phone providers charged families of inmates, fees ranging from $0.50 to nearly $4.00 just to initiate the call, not including the per-minute charge of $0.50 to $0.89 a minute. But the ruling didn’t ban commissions, the monies paid to jail and prison operators such as the sheriffs for contracting with their telecommunications company. Commissions drive up the cost of a phone call. Telephone service providers and law enforcement have maintained that the phone call revenue pays for security and general telephone service upkeep and that commissions are necessary to offset those costs. The sheriffs’ departments claim the money pays for prisoner oversight during these phone visitations or for other Constitution-mandated items such as hygiene and medical care. But while some argue that those tacked-on commissions defray prison and jail expenses that taxpayers would eventually shoulder, criminal justice experts, law enforcement and government officials contend contact with family, friends and attorneys reduces recidivism, which ultimately benefits taxpayers in terms of safety and dollars. Prisoner advocates and human rights agencies have asserted to the FCC that neither the commissions, which they call kickbacks, nor the price gouging is necessary to keep telephone calls available to inmates. Wright and others continue to push for lower caps on the intrastate price per minute charge as well as the deposit fees, which can be as much as $17 in deposit per 15 minutes in some facilities. The FCC’s 2013 ruling addressed neither commissions nor intrastate phone calls. The price cap pertained only to interstate phone rates. However, approximately 85 per cent of prison/jail phone calls are made in state or locally to detention centers. The annual commissions nationwide paid to state or law enforcement range from approximately $220,000.00 in Montana to close to $13,000,000.00 in Illinois and phone call rates range from $0.48 to $6.06 per minute according to Prison Phone Justice, a prisoner advocacy group. Prison Phone Justice estimates the commissions industry at $1.2 billion a year. In November of 2014, the FCC invited comments on proposed regulations to ban commissions in efforts to lower steadily rising intrastate prison and jail phone call rates as well as eliminate connection fees and other call charges. However, though action was expected from the FCC on the intrastate fees, none is forthcoming to date. Prison advocates like the HDC have called for a flat rate of $0.70 per minute and long maintained that the current kickback system encourages corruption such as the recent case of two Mississippi businessmen who were indicted on a scheme to pay the former Mississippi Department of Correction Commissioner 5 per cent of revenue generated by inmate phone calls in exchange for an awarded contract to Global Tel Link, one of the largest prison phone call providers. The prison and jail population contains not merely “criminals” but human beings, many of whom have not been proven guilty or are simply not guilty of the state’s charges. 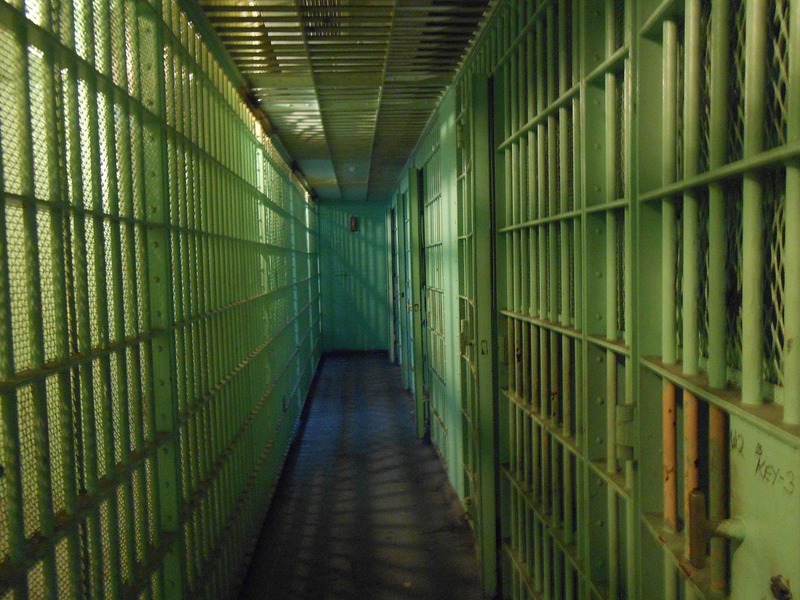 Local jails are full of inmates who have been charged but not tried. I was one of them. To deprive people in their lowest state—their most vulnerable and helpless—of the humanity any being deserves speaks leagues to the society that prioritizes money over human life. A community that cares little for its weakest, most downtrodden—the poor, people of colour, the incarcerated—those that typically bear the brunt of pitiless politics, profiteering and prejudice is a poor community indeed, bereft of foresight let alone compassion. To complain of taxpayer expenses of the incarcerated is disingenuous, at best, as justification to deprive the very at-risk population the tools, human connection, for successfully rejoining the rest of “free” society.